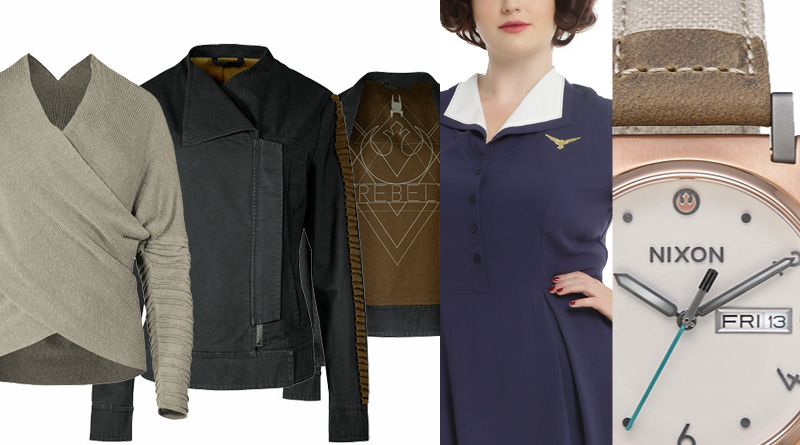 October was a pretty darn good month for #geekfashion. Let’s go to the highlights. Musterbrand previewed a Rey sweater at New York Comic Con. This cotton knitted piece may be the most fashionable article of clothing inspired by Rey to come out yet, playing with texture and form to bring Rey’s wrap dress into something you could wear every day. Currently pre-orders for the US and Canada are expected to ship out in November. A Knight of Ren knit cardigan is also available. I’m not as sure about that one but maybe it needs to be seen in person to be appreciated better. Let’s not forget the Rogue One offerings too. 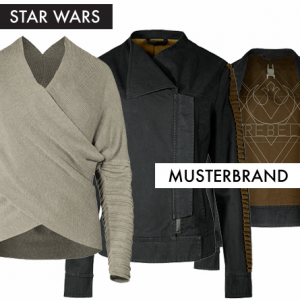 Musterbrand just came out with both Jyn’s Jacket as well as Cassian’s Jacket. Both retail for $189.99 and look very similar to the jackets worn by the respective characters in the movie. 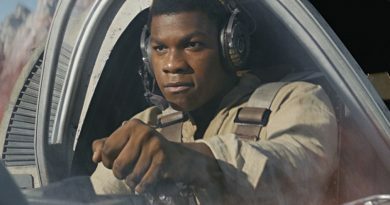 These cotton pieces feature a large cotton Rebel design complete with U-wing inside, helping them retain a rather subtle geek style many of us have been clamoring for. If those jackets are a bit out of your price range, Musterbrand also has a new Rogue Scarf for $29.99 which incorporates the striping seen on the jacket sleeves. Rogue One offerings from Go Rogue / Force Friday at the end of September were pretty slim pickings if you want to wear women’s clothing. Hot Topic recently added this Rogue One t-shirt that’s kind of neat. If pins and pilots are your thing they’ve got Loungefly Red Leader and Imperial Starfleet pins. Check the Shop Disney Parks App for Rogue One apparel that’s only available at Disney Parks. 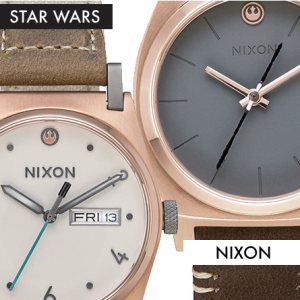 Nixon, which has had a very impressive Star Wars | Nixon Watch Collection for several months now, has finally added two designs inspired by Rey to their line-up. The Jane Leather SW ($225) incorporates canvas and leather in a tribute to Rey’s costume along with a lovely engraving on Rey on the back of the watch face and – my favorite detail – a lightsaber second hand. You can find that watch at ThinkGeek too. The Medium Time Teller SW ($125) amazingly uses Rey’s staff as its second hand. 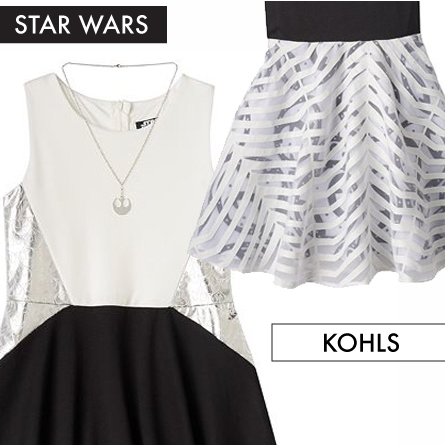 On the kids’ Star Wars fashion front, Kohl’s has returned with some styles that are going to make some adults jealous. The jacket game is strong with the Star Wars Patch Bomber Jacket ($48) and Stormtrooper French Terry White Moto Jacket ($48). And the dresses are pretty cool too. Check out the BB-8 Burnout Striped Dress ($58) as well as the Foil Rebel Skater Dress with Necklace ($58). Hot Topic and Torrid were on a role in October when it came to releasing mini-collections of fandom fashion. Early in the month saw the Outlander collection at both stores. The Torrid set had a cool shawl cardigan exclusive. There’s also a Torrid-only Neverland apparel collection of dresses, shirts, and jackets. 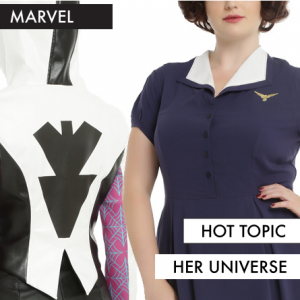 And the Hot Topic and Her Universe Women of Marvel supply was on display at NYCC as it also went on sale online and in select stores. The Spider-Gwen jacket comes from 2015 Her Universe Fashion Show contestant Lindsay Hamilton. I’m partial to the Black Widow dres for its subtle geek style. And I’ve probably seen more photos of the Agent Carter dress on Instagram than any other piece. Hot Topic and Torrid also released pieces for Once Upon a Time. And you can now find DC TV universe jackets at select Hot Topic locations too. Hero Within, whose nicely-made jackets I got to see up-close in August, released their first pair of pants from their collection: the Batman Jeans ($89). They’re available for pre-order now and expected to ship in December. And on the accessories front Loungefly also released a whole slew of Marvel bags. There’s mini dome bags, regular dome bags, zip-up wallets, coin bags, duffle bags, crossbody bags, totes, and backpacks covering Black Widow, Spider Gwen, Captain Marvel, the Avengers, Captain America, Iron Man, Spider-Man, and Deadpool. 27 pieces in all ranging from $20 to $70. In addition to Loungefly’s site you can also find select items at ThinkGeek, Box Lunch Gifts, and Hot Topic. 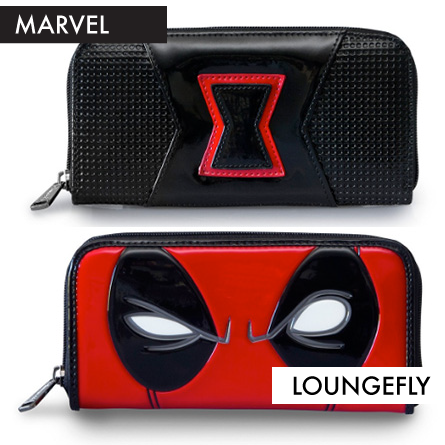 My favorites are a toss-up between the Black Widow wallet and the Deadpool wallet. I’ve never gotten to see one of these in-person though so hopefully that changes soon. 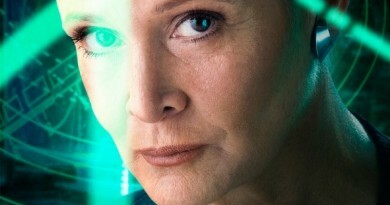 Oh, and in case you missed it – Mark Hamill landed a fashion campaign with Rag & Bone. I have to say the hoodie photo, part of their “Men’s Project” series, is pretty fantastic. And finally, at the end of last month, I was interviewed by the Galactic Fashion podcast. 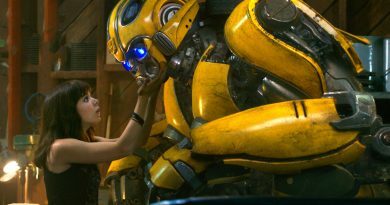 Surprising no one, I spent part of the time talking about movie jackets. Go have a listen if you haven’t already.